I’m super excited that my painting Blackberry ‘Fantasia’ which is part of the Shirley Sherwood collection, will be on display as part of the ‘Nature’s Bounty’ exhibition at Kew Gardens. On now until the 31st January. 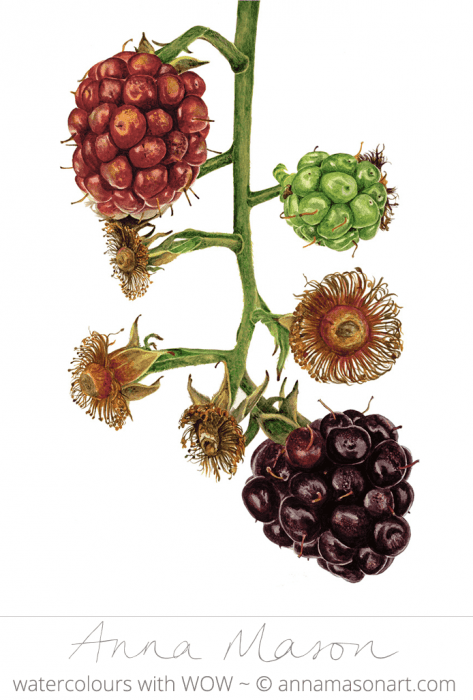 It’s full of gorgeous and mouth watering botanical paintings and is well worth a visit!